A sensitive retelling of the classic Bible story, specially written for children developing reading confidence. The dramatic events of Jesus's final journey are evocatively illustrated with vibrant artwork and simple text, specially written in conjunction with a reading expert from Roehampton University. The Easter Story by Russell Punter was published by Usborne in February 2013 and is our 22228th best seller. 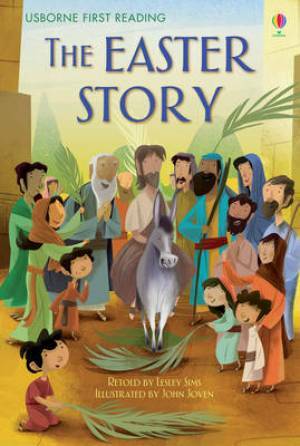 The ISBN for The Easter Story is 9781409554684.